Micheal Barnes has performed with groups such as the National Youth Orchestra of the United States of America in their Inaugural Season, the Ft. Smith Symphony, and the Symphony of Northwest Arkansas, with his performances taking him to Russia, the United Kingdom, Japan, and across the United States. He has placed as a finalist or winner in competitions such as the Naftzger Young Artist Competition, the Coeur d’Alene Symphony National Young Artist Competition, the Great Plains International Marimba Competition, and the Hellam Young Artist Competition. In addition, Micheal won the 2015 Oklahoma Day of Percussion Collegiate Solo Snare Drum Competition and was also runner-up in the U.S. Army National Collegiate Solo Competition. As a soloist, Barnes has been featured with groups such as the Cameron University Percussion Ensemble, the Oklahoma State University Wind Ensemble, the University of Oklahoma Symphony Orchestra, and the Delta Symphony. He has also performed with the critically-acclaimed h2 Saxophone Quartet. 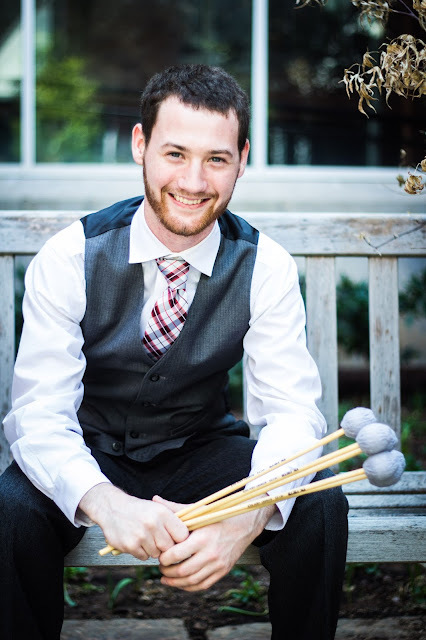 Barnes was selected as a participant for Leigh Howard Stevens Bach Masterclass at PASIC 2014 and as a member of the 2015 PASIC All-Star Percussion Ensemble. As an educator, Micheal has written music for high school bands and has taught at numerous schools across Oklahoma. He currently maintains a private studio in Norman and teaches at Purcell High School. As well as arranging for marching bands, Micheal composed Distance for Solo Marimba and Crotales, which is published by Tapspace Publications. He was recently awarded a teaching fellowship to work with the National Youth Orchestra and Choir of Belize, as well as being awarded the Mary Grey Thompson Award for outstanding contributions to the University of Oklahoma College of Fine Arts. He is currently a member of the PAS University Committee and is finishing his undergraduate degree at the University of Oklahoma with plans to pursue advanced degrees. In addition to being an active member of the Percussive Arts Society, Barnes is also a part of the National Association for Music Education and is a Vic Firth Young Artist.